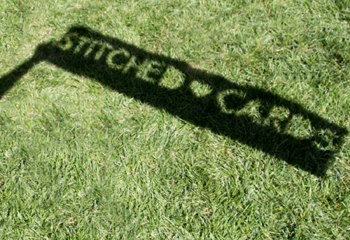 Stitched Cards was created to promote lots of love, happiness, compassion, kindness, and positive vibes. Our cards and gifts are all about a tactile way of connecting with and encouraging each other. Show gratitude, express love, and share good times. We are a boutique greeting card company in Sugarhouse, Utah. We specialize in embroidered greeting cards - handcrafted to create intriguing texture. We also produce art cards in collaboration with some of our favorite artists. We offer custom works, tailored to your specific personal needs. Our mission is to make pieces of art that encourage love and connection. Jeni's passion for cards, eagerness for new ideas, and ambition for living a unique life is what motivated her to develop her craft. Her designs come from an amusement by simple happy things, and a captivation by texture. Starting a small business was an effort to encourage the presence of well-made handcrafted products, local capability, and excellent service. Her products have a consistent place in the community. "The 50 Nifty State Accessories..."
Felt & Wire's "On the Wire"